Elaine McInnes’ advice follows a warning from the Medicines and Healthcare products Regulatory Agency over the use of unlicensed homeopathic teething tablets or gels. Teething is a normal physiological process when a baby’s first set of teeth emerge through the gums. Most babies grow their first tooth at some point during their first year. 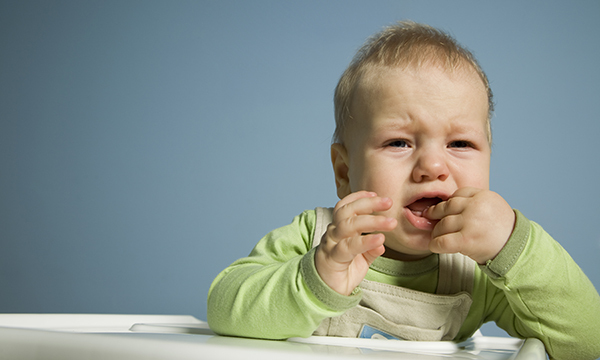 Babies can experience teething differently, with some showing signs of distress. Parents of young children are being warned not to use unlicensed homeopathic teething tablets or gels due to the risk of dangerous side effects. The Medicines and Healthcare products Regulatory Agency (MHRA) has issued the advice following a US Food and Drug Administration (FDA) investigation into homeopathic teething tablets and gels. Side effects include seizures, difficulty breathing, lethargy, excessive sleepiness, muscle weakness, skin flushing, constipation, difficulty urinating and agitation. These particular American products are not licensed for use in the UK but may be available online. Homeopathic products licenced in the UK can be used. Signs of teething include a baby being fretful, gnawing and chewing on things and dribbling more than usual. They may also have sore, red gums where a tooth is coming though and a flushed cheek. There is no evidence that a raised temperature or diarrhoea is connected to teething. Most babies grow their first tooth at some point during their first year. Some babies are born with teeth, others start teething before 4 months and after 10 months, but 6 months of age is the average for the first tooth. Most children will have all their teeth by the age of 2-and-a-half. Consider teething as a cause of discomfort in an infant up to the age of three years, only after other possible causes of signs and symptoms have been excluded. Advise parents that initial management should comprise self-care measures. Paracetamol or ibuprofen suspension, used according to instructions, can be considered for infants 3 months of age or older.